Avitas, is an environmentally conscious, transparent, and clean marijuana producer/processor, that does everything the right way, in order to bring you the safest, cleanest, and the most impressive cannabis products possible. This Saturday, stop by our store in East Bremerton to meet the Avitas team, and pick up some of their cannabis products for super low prices. Avitas is one of the cleanest, greenest, and most amazing marijuana producer/processors in Washington State. Destination HWY 420, located in East Bremerton, carries both Avitas and the Hellavated line of cannabis products. If you’re near the Kitsap County area, stop by and visit us this Saturday to meet the Avitas team, and pick up some of their clean cannabis products for discounted prices. Avitas uses local compost and organic living soil amendments to limit any negative impact on the environment. Instead of harsh chemicals, Avitas uses beneficial organisms and approved organic substances such as mineral oil, if they need to mitigate any issues with the plant’s development, such as pests. Long story short, Avitas produces some of the cleanest and safest cannabis products on the market, they consciously limit their environmental impact, and they’re open and transparent with their cannabis growing methods. Based on my experience with Avitas, they are a trustworthy cannabis business with a good moral compass; this is one reason why I keep buying their products for myself. Another reason I buy Avitas’ cannabis products, is because they are consistently and precisely formulated, with great flavor, potent effects, and smooth smoke/vapor. Avitas’ products are a good buy for any type of cannabis user, so visit us this Saturday to pick some up for yourself, at discounted prices. Hellavated vape cartridges are so good, they’ll blow you away! Hellavated produces cannabis oil pre-filled disposable vape cartridges as well as Standard 510 vape cartridges. Their range of cultivar spans from Strawberry Haze to Mango Dragon, and everything in-between. You can find both Hellevated and Avitas products at Destination HWY 420, in East Bremerton, WA. My first experience with Avitas, was trying one of their Hellavated Strawberry Haze disposable vapes, which blew me away. The flavor of the oil in the Strawberry Haze vape was exquisite. When I vape a Hellavated or Avitas vape cartridge, it’s almost like breathing candy air, super sweet and smooth. Since my introduction to Avitas, I’ve tried several of their products, and have had a similar reaction each time, they are simply amazing cannabis products. Hellavated disposable vape cartridges are perfect for the low maintenance cannabis user, as they require no cleaning, charging, refilling, or any other inconvenience. Hellavated disposable vapes are an all-in-one unit that’s ready to use right out of the packaging; the unit is a battery with an attached prefilled oil tank, and they’re about the same size as an ink pen. For people interested in regular vape cartridges, the type you have to attach to a battery, Hellavated produces those too. Avitas is a clean, green, incredible marijuana producer/processor located in Washington State. 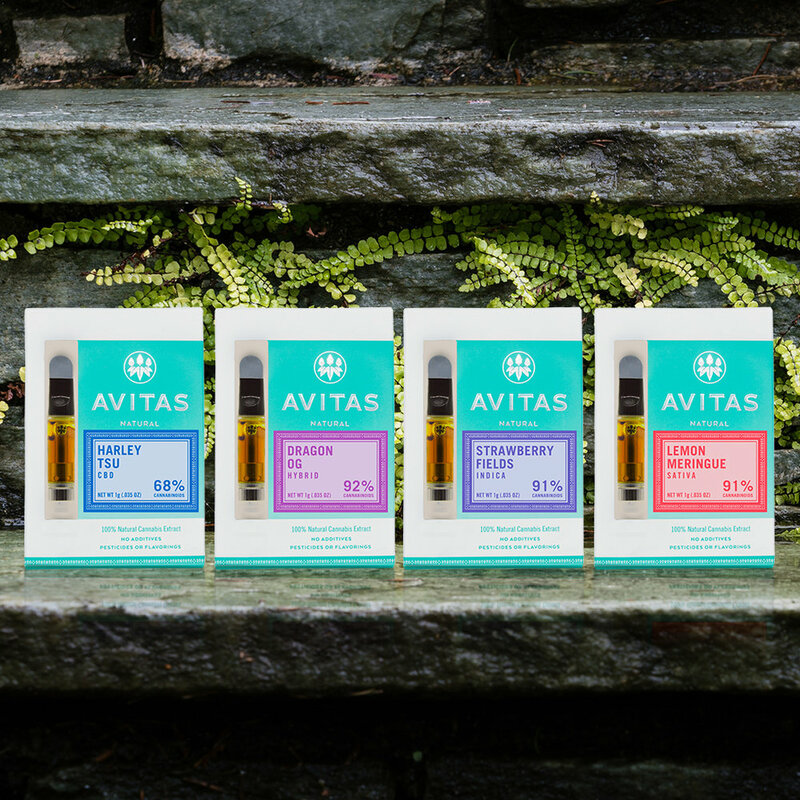 Avitas uses their small batch Co2 Oil, extracted from high quality organically grown cannabis plants, to fill their high quality Standard 510 vape cartridges. 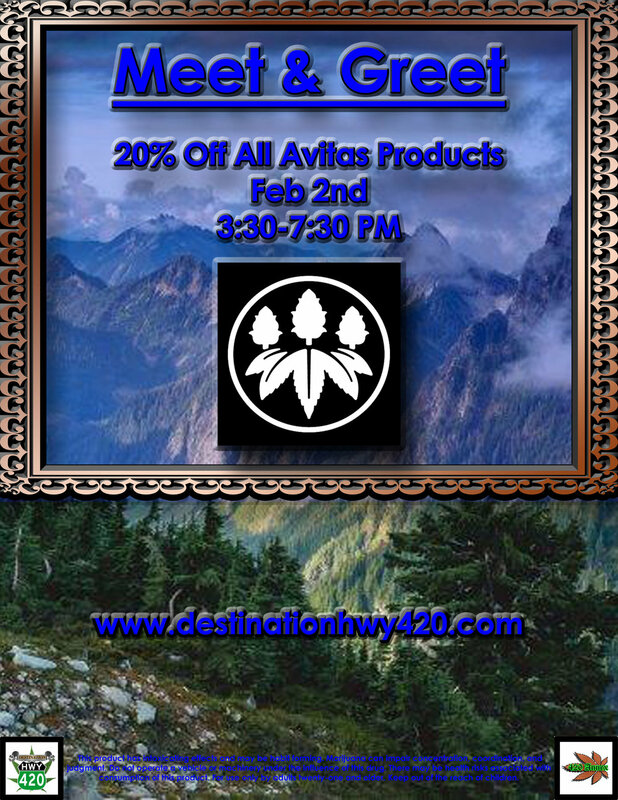 Avitas and Hellavated products are available at Destination HWY 420, in East Bremerton, WA. Avitas also produces a line of vape cartridges under the Avitas brand name. Avitas vape cartridges are filled with premium Co2 oil, and are compatible with any Standard 510 threaded battery. The single strain small batch full spectrum extracts found in Avitas vape cartridges have great clarity, purity, and incredible flavor. Avitas also de-waxes, or winterizes, their oil, to prevent the end user from having to inhale the waxes and lipids, which are harsh and irritating on the lungs. Avitas does an all-around excellent job at producing extracts, and putting them in the right hardware. I recommend Avitas products to all my family, friends, and readers; I think you’ll be very happy with your purchases. While both Avitas brand and Hellavated vape products are amazing, I don’t know all of the specific differences between the two, so I will be asking them about this in our Meet & Greet video interview. If you have any additional questions you’d like to have answered about Avitas, Hellavated, or anything else cannabis related, drop us a message in the comment section, or stop our store in East Bremerton this Saturday to meet the team and grab some of their products for super low prices.